WordPress posts have a few more SEO options than WordPress pages.We still have theYoast WordPress SEO plugin options that we saw in the previous section on’WordPressPages’, and they are used in exactly the same way. One of the benefits of using WordPress Posts for publishing your main, visitor-orientated content is that you can group them into categories. These act as organised ‘silos’ of content, all related to the core topic. When you add a post, you can select the category from a list of those which you have already set up.From an SEO point of view, it is better to only have posts in ONE category. If you find that you need to categorise a post into multiple categories, then you probably don’t have the correct categories in the first place. Categories should be broad enough so that there isn’t much, or any, overlap.If you find that you want to further classify your posts, look at using tags instead. We’ll be looking more into tags later in a future Post.There are a few reasons why one post for one category is a good idea.Firstly, if you put a post in three categories, then three copies of that post will be created (one on each category page), though we will largely overcome this problem later when setting up the category pages A more important reason for the one post one category rule is the SEO benefit. We want categories to contain tightly focused groups of content. YARPP we can setup a ‘Related Posts’section for every post on the site.These related links (or excerpts with links to the related posts),show other posts within the same category.Therefore related posts are interlinking with each other, and that will help boost your rankings This is because Google likes it when a post has links from related content.Another SEO benefit comes from the category pages. These pages link out to highly related articles on the site, so once again, the relevancy factors of links to-and-from related content is a big on-page SEO advantage. Tags are an additional way to categorize your content. When you add a WordPress posts, you can enter one or more tags for it:You simply enter them, with each tag separated by a comma.For every tag you enter.WordPress creates a separate webpage that lists all posts using that tag. As you can imagine, duplicate content is an issue again.When a site uses tags incorrectly,major SEO problems arise. For example, I’ve seen websites that have dozens of tags per post. In many cases, a tag might only be used ONCE on the entire site. That means the tag page will contain one article. What is the point of that tag page, since the article already appears on its own post web page?. The purpose of tags is similar to the purpose of categories. It’s used to assemble related content into related groups so that visitors (and search engines), can find information more easily. The benefit of the tag pages is that it adds an extra level of categorization which the visitor will find useful (if done properly). From a search engine point of view, tag pages do tend to rank well because multiple posts typically point at each tag page. In a Future Post, we’ll look at how we can modify these tag pages to offer our visitors, and the search engines, even more worth. My suggestions for using tags is to only use those that appear (or will appear), on multiple posts of the site, and that you limit the number of tags per post to a maximum of four or five. At the top of the WYSIWYG (What-You-See-Is-What-You-Get), editor on the edit post screen is the toolbar.By default, the toolbar only contains the top row of buttons. To show the bottom row of tool buttons (which includes the important text formatting drop down box), you have to click the button on the far right of the top toolbar. That button toggles between top only, and both toolbars. Note: With formatting comes great responsibility. With formatting options, like bold, underline & italics, only use them where you would if search engines did not exist. What I mean by that is do not be tempted to put bold or italics on the words and phrases you want to rank for. This might have worked a few years ago, but today it’s a signal to Google that you are trying to over-optimise your page for those words and phrases. SEO on your page should be ‘invisible’, meaning it should not be obvious what you are trying to rank for when reading the content. For headers, only include one ‘Heading 1’ headline per page (this uses the H1 HTML tag). Your template is likely to use an H1 for the title of the WordPress posts, so you shouldn’t add a second H1 header. Use headlines in hierarchies, with an H2 being the start of a new section, and H3 as sub-sections of the H2. If you then start a new section, use another H2. Again, as with all areas of your content, do not stuff keyword phrases into headlines because they’ll do you NO favors. • Try to compress the image to as small a size as possible before uploading. Remember that when someone visits your page, the images have to download to their computers, thus slowing page load times. • Keep image file size small, and resize images to the correct size (dimensions) before uploading. For example, if your theme content area is 600 pixels, and you want the image to take up half the width of the content, resize the image so that it is 300 pixels wide. • Give your image a name that best describes it. Once again, remember not to keyword stuff here, and don’t use words and phrases that are irrelevant to the image. appropriately for blind or partially sighted users. 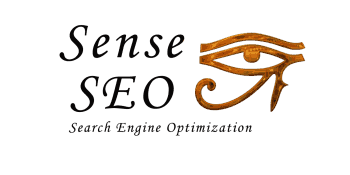 Thanks for reading my post on SEO for WordPress Posts !! !